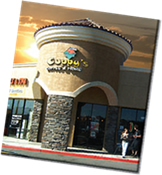 If you are looking for information on the Cuppy's Coffee, Smoothies and More franchise business opportunity, Cuppy's Coffee franchises or Cuppy's Coffee and Smoothies franchising, then you have come to the right place. Coffee is HOT!!! Smoothies are COOL!!! And...Cuppy's Franchisees are CASHING IN! Cuppy's Coffee is changing the industry as we know it! 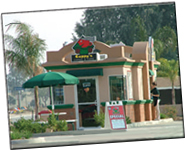 Cuppy's Coffee Drive Thru Franchise is changing the coffee and smoothie business as we know it! It's FUN. It's FAST. It's DIFFERENT. We are the only coffee franchise serving ice cold rich smoothies, and hand roasted, hand blended coffee to our customers, "In Under a Minute." Taste the Difference in Cuppy's Coffee! We're leaving the competition behind! Mochas, Lattes, Coffee & Smoothies: Just a few of the delicious drinks you'll be making and serving up to your customers. Great attitudes, premium products and fast service keeps Cuppy's customers coming back 3-4 times a week! It's not a Business. It's a Lifestyle! Cuppy's Coffee & More is continually turning Innovative ideas into winning programs helping to brand Cuppy's on a global level. Your customers will love Cuppy's specialty coffee drinks, 100% fruit smoothies, chai tea, Italian sodas, and much, much more! YUM! You'll receive the training you need to run a successful business. From three days of Coffee College to in store training and on-going support, we're here for you every step of the way! You'll be teamed up with our Commercial Real Estate Locators, you will be able to find the very best locations at the lowest possible lease or purchase price. Cuppy's Coffee works with the best in the business, especially when it comes to construction. So many options including: dual drive-up, coffee café, kiosk, Cuppy's Cart, or Cuppy's Island Walk Up.